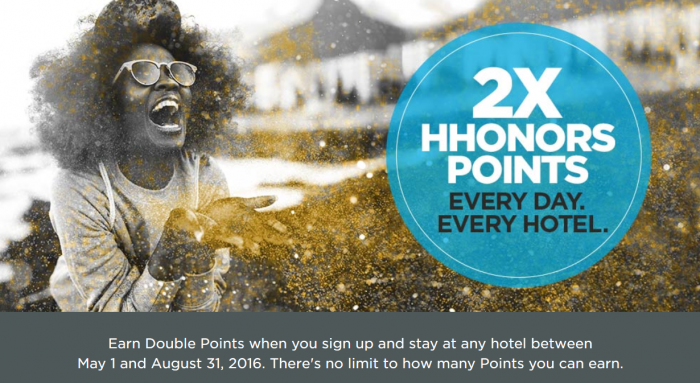 Hilton HHonors today launched their latest promotion called Unlimited Bonus that is valid for stays between May 1 – August 31, 2016. You can earn double Hilton HHonors points for stays worldwide after registering for the offer. You can sign up for this promo on Hilton’s website here. Note that this promotion only double the bonus points and not miles like some other similar promotions in the past. This means that you earn 20 Hilton HHonors points per USD spend before Double Dip or elite status related bonus points.